GP Productions, Inc., Parkland, Florida. 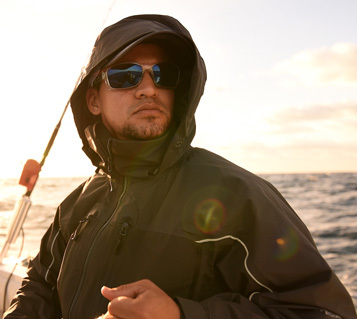 Kevin Tierney is the chief camera operator and producer of George Poveromo’s World of Saltwater Fishing. 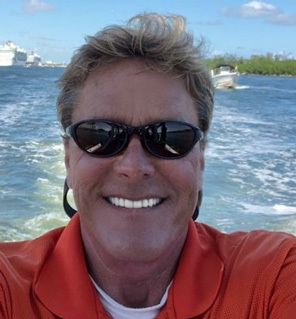 The broadcast-industry veteran founded KTI Video, a Fort Lauderdale, Florida-based, full-service production company specializing in outdoor programming, in 1987. Equipped with the latest video technology, including state-of-the-art digital equipment, Kevin has combined his knowledge of video production and passion for fishing to build a successful business around the sport he loves. He’s dedicated to producing the finest in outdoors programming. 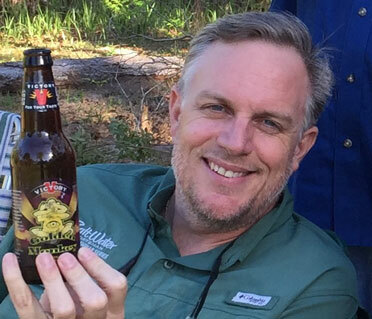 When he’s not behind the camera, Kevin is often fishing in the backcountry waters of the Florida Keys, or snorkeling or diving on the Atlantic side. 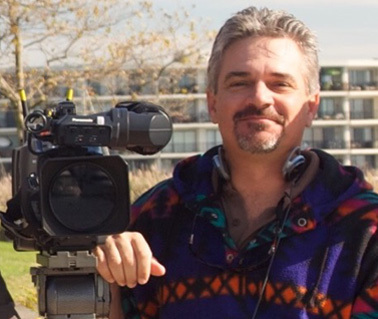 Robert Greene founded his company - RCG Productions - in 2002 after working many years behind the scenes in the television industry. His many commercial production credits include Smart Spin, JK Harris, Urine Gone, Cold Heat and Barbizon Modeling Schools. As Director of Photography for Global Solutions Network, and Operations Supervisor at ITV, Rob’s Emmy-Award winning work gave production style to many series and documentaries including Cutting Edge Medical Report, Techno 2100, Hall Pass, The Art of Women’s Health, Technology Today, Kids Health Works and most recently – No Guts, No Glory, an Emmy-winning documentary on Hialeah Speedway. His ability to cover fast-paced action is one of the keys to his success, and his sports coverage has appeared on Outdoor Life Network and Sun Sports Net. His love of lighting, graphics, technology, editing and shooting are the driving forces behind RCG’s success. Affectionately nicknamed “The Swede” by the George Poveromo production crew, Rob brings a lot of talent to the highly-skilled team. Born and raised in Puerto Ordaz, Venezuela, Robwil Valderrey has been in the US since 2006. In 2010, he enlisted in the US Navy and was stationed in Norfolk, Virginia, on board the USS San Antonio. After his service in 2014, he returned to South Florida and eventually enrolled in school for film and video production. His current focus is on producing promotional videos for outdoor companies. He’s skilled in cinematic style production as well as aerial and underwater video. Freddy is a proud veteran of the U.S. Coast Guard, with a professional background in sales. He previously attended Jacksonville State University and is currently enrolled in the Bachelor’s program at the Art Institute of Fort Lauderdale where he is working towards a degree in Digital Film Making and Video Production. Freddy specializes in outdoor videography, cinematography, and aerial video and photographs. In the future he aspires to produce original outdoor and fishing content for his own platforms. The opening and closing voice-overs on George Poveromo’s World of Saltwater Fishing and also the Salt Water Sportsman National Seminar Series is the work of Eric Brandon. 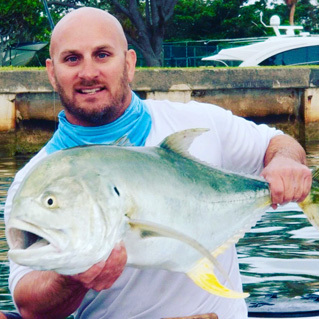 A noted South Florida radio personality, radio fishing show host and boat salesman, Eric loves the outdoors. Eric served five years in the Army, and is the proud father of two sons – Sean and Matthew. 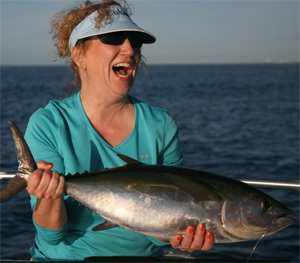 Marcy Mock brings more than 20 years of graphic design experience to George Poveromo’s World of Saltwater Fishing. She began her career at the Miami New Times and is currently the art director/owner of MarSea Design Inc.
She developed her love of fishing at an early age, while accompanying her parents on fishing trips. Born of Cuban parents, she began hand-line fishing before picking up her first fishing rod in 2001. Since then, she has spent some time on a professional fishing team, enjoys taking her parents out on her own boat, dives, paddleboards and enjoys being out on the water whenever possible. A resident of West Pittston, Pennsylvania, Donna (Benzi) Tasselmyer is a talented freelance writer, editor and proof-reader. She has contributed her talents to this website. 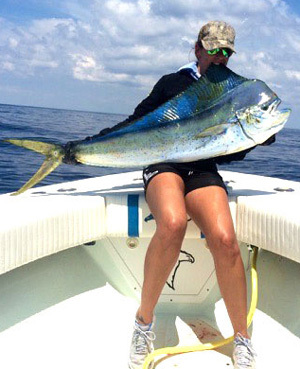 In addition, she has assisted with the proof reading for the Salt Water Sportsman National Seminar Series textbook, and has helped book some of the Tour’s faculty. She also assists with the Front Operations team at selected Seminar Series venues. Howard DuBosar’s Boca Raton law firm concentrates its practice in the areas of complex commercial litigation, corporate and partnership litigation and business transactions, trade secret protection and intellectual property litigation. His firm also provides general corporate consultation in areas ranging from business structuring and planning to the negotiation of various contractual arrangements. Howard received his Juris Doctor from the University of Miami School of Law where he was an Associate Editor of the University of Miami Law Review and Vice President of the Moot Court Board. Howard was also inducted into the Order of the Barristers while at the University of Miami Law School. Howard’s publications include articles in the University of Miami Law Review as well as the Entertainment and Sports Law Journal. When not practicing law, Howard most enjoys spending the day boating and fishing with his family.